The retired lineman uses cannabis because he says it heals the hurt from a lifetime playing the game. This is his crusade to convince the NFL he's right. Editor's note: This story contains mature content. So what's it like?" I ask Eugene Monroe. "What's it like?" He's working out in his basement. The music is loud. From some kind of high-tech rack, he's picking up dumbbells that appear immobile in their sheer mass but yield to his grip like Excalibur. It's not much of question straight. But then, I'm not straight. Neither is Monroe. He comes over and wipes his face with a towel. "It's one of those experiences you have to go through to understand," he says. "I could use as many words as I could find to describe it, but the feeling it produces, I don't think we have a word for it." I sit there, nodding, listening to the music. It takes me awhile to ask, "So what does it sound like?" He's doing curls and finishes his set before answering. He is an enormous human being, deliberate and unhurried in his movements and his speech. "You know that crisp sound where you're watching an Olympic diver hit the water, where it's like a blade slicing through the water? Well, you have that smooth, clean sound, and at the same time it's like someone has a sawed-off shotgun -- pow! It's amazing." I nod again, wondering whether he has the best insights into football I've heard, or just the best weed I've smoked. "Do you see things out there that, like, you can't explain? Things that, like, defy gravity?" Because he's sitting down, I can see crinkles start spreading across his shaved and sopping scalp. "I've played with some very good players," he says. "And the way we blocked some guys ... you shouldn't be able to do that to people. I mean, it's not right -- and it doesn't exist anywhere else but on the field. I mean, really disrespecting and hurting people." And then a pause. "It was awesome." THIS IS A story about addiction. It's also a story about getting high. They're not the same thing. The first is not necessarily the result of the second. The second, it turns out, can be a way to deal with the first. Eugene Monroe knew too much about addiction growing up. But he did not know about getting high because the addictions he saw all around him taught him to decline all drugs, including marijuana. He played football instead. He played football because football kept him clean; because football required him to be healthy; because football forced him to control himself and permitted him to control others, reveling in the size of his body and his will. He played football for 18 years, and when he got hurt -- when football hurt him -- he always came back and kept playing. When he couldn't keep playing without taking drugs, he took the drugs team doctors gave him. He always followed the rules, even when he began to realize that the rules about drugs didn't make any sense ... indeed, even when he became the first active player in the history of his sport to challenge the rules in public. He ended up getting cut from his team. He ended up losing his faith in football and then quitting it altogether, before it could hurt him again. He ended up losing the thing he loved, and now he has ended up sitting on his patio with a vaporizer pen and a bong while his diapered toddlers gaze at him through the window from inside the house. It is, in a way, the end he always feared, when he was growing up, wary of drugs, except that the drug he's using has given him what people always want from drugs and rarely get: a way out. He is no longer addicted to football. He is, at long last, just high. THE FIRST THING to remember about getting high is that it's never just about getting high. The second thing is that it's always just about getting high. Right? You get high and you think that, like, brushing your teeth is so inherently interesting that you can do it for half an hour. Then you look in the mirror and see the dude brushing his teeth for half an hour and you're like, "Oh, right -- you're just high." The thing about Monroe, though, is that he's never just getting high, even when he's out on the patio on a hot summer evening and he's holding the vape pen in one hand and the little chattering bong in the other, and the difference in scale between him and his paraphernalia makes him look like a kindly genie trying to climb back into his bottle. He rarely even calls it getting high; he prefers to say that he's "medicating" or "taking my medicine" or, most often, using or consuming cannabis. After all, he didn't just get hurt playing football. He hurts. "I wake up in the morning and my back hurts," he says. "And my feet hurt. And my neck hurts. And my knee hurts. My shoulder hurts, and sometimes my hands ache too. And this is every day ..." You can see it when he assumes his customary back-saving posture, sitting with both legs stretched out before him, his surgically graffitied left knee on display. And you can hear it when he indulges in his habit of twisting his neck and it answers with a crunching sound, gravel where the ball bearings should be. So Monroe isn't, like, Laremy Tunsil in a gas mask, dorm-room-smoker-turned-draft-day-punchline -- and NFL object lesson -- thanks to the magic of social media. He works out twice a day, volcanically hard, and he gets high before his workouts because it enables him to work through the teeth of his chronic pain. He gets high because after years and years of taking the wrong medicines, he says he has finally found the right medicine in marijuana. He gets high because he has suffered several concussions, and he is convinced by the research that suggests marijuana can help save his brain. He gets high because he has decided to put his health and his family first after a career that required him to sacrifice both. And when he gets high, his vape pen and bong remind him of the most considered and consequential decision of his life. So when he asks, "Do you want to partake ..."
Partake -- one of the great weedy words, especially the way Monroe says it, in that deep deadpan that puts one in mind of Ving Rhames playing, like, a conscientious objector. Eugene consumes cannabis all day long, but he's not getting high all day long. With his food, he takes something called CBD hemp oil, which is low in THC (the ingredient in marijuana that gets you high) and high in cannabidiol (the ingredient in marijuana that's supposed to get you well). He extols the powers of selective botany, particularly as manifested in strains of marijuana that make you feel good "without the euphoria." For tonight's pre-workout ritual on the patio, however, he has chosen a strain that former lineman Kyle Turley suggested at a golf tournament fundraiser for a study of marijuana as a treatment for signs of CTE. It's called "Jack Herer," and Eugene, when he nimbly feeds the vape pen into the bong with long fingers as twisty as the roots of old trees, is definitely partaking in it. He hands me the vape pen, tells me to "just press the button," and when I do, "the Jack," as he calls it, hits my lungs like a fist that opens into a hand waving goodbye, and I begin coughing from somewhere around my kneecaps. "That was a big hit, man," he says, with raised eyebrow, and he heads for his basement to begin his workout. IN 1982, THE NFL and the NFL Players Association negotiated a collective bargaining agreement that formally prohibited players from using marijuana -- that, indeed, gave marijuana the same standing as heroin, insofar as the danger it presented. The policy granted the league broad powers to test players for the drug's presence within their bodies, and to treat and discipline those who tested positive. To this day, the NFL remains arguably the most restrictive of all American professional sports leagues in regard to marijuana. Major League Baseball, for example, doesn't discipline for it beyond fines for excessive positive tests, while the NHL tests only one-third of its players each year. It took 34 years for an active player to challenge the NFL's policy, and when one finally did, he was such an unlikely candidate for the job that everybody he informed of his plans remembers the exact moment when he broke the news. "The conversation began at 10:30, and we were on the phone until 2:30 in the morning," says Monroe's agent, Sunny Shah. "It got pretty heated. I wanted him to understand fully the ramifications -- and that you can't always control what others think and that others may judge you for your stance." It wasn't just that Monroe was about to risk his career. It wasn't even that Monroe was about to risk his career advocating for a drug he didn't use at the time. It was that he still loved football. He still wanted to play football. He was 28 years old. He had been the eighth pick in the 2009 NFL draft and had just finished his seventh season in the NFL. He was a left tackle, one of the most lucrative positions in the league. He had made over $17 million in his first two full years with the Ravens and was due to make an additional $6.5 million if the team kept him on the roster. He had ended the 2015 season on injured reserve and had undergone shoulder surgery. But he was rehabbing his shoulder and working out every day in anticipation of putting his injuries behind him. He was in his prime. Yet on March 9, 2016, he gave an interview to CNN for a report titled "Is it time for football to reconsider marijuana?" He said that it was time and that the NFL should start researching the efficacy of marijuana as an alternative to addictive opioid painkillers such as Vicodin and Oxycontin. He didn't know it at the time, but he had played his last down in the NFL. IT WAS, LIKE, the first high he ever experienced. He was 11 years old, the youngest of 16 children. His mother battled an addiction to crack cocaine. His father had just died. He was, he says, "one of the biggest kids in Plainfield, New Jersey, but not one of the most athletic," and football transformed him. In sixth grade, he joined a Pop Warner team and went from being one of the kids picked last to a kid who put other kids on the ground, every play. "I was laying people out," he says, "and being highly appreciated for it." So he got hooked. He got hooked on the game -- the adrenaline, the violence, the absolute license of it, the intricacies unfolding all around that no one can know about unless you stand right in the middle of them -- and he stayed hooked even when, inevitably, he got hurt. In a spring practice in pads in preparation for his sophomore season at the University of Virginia, he dislocated his left kneecap and ruptured his patellar retinaculum. His knee had to be grafted back together when he was 19, and it was never the same. "It made me grow up quick," he says. "It taught me what it was like to really work for something, and it redefined me as a player." His mind had always been part of his life; now he made it part of his game. "No matter where I was on campus, I'd be thinking. In my dorm, in my apartment, at the bus stop, I'd be thinking, trying to figure out what angles certain defenders would take. I was so ingrained in becoming excellent. It was part of my existence. And it showed on the field." Of course, to stay on the field after an injury like that, well, you don't think it's just a matter of grit and perseverance, do you? No -- it's a matter of drugs, the whole dizzying pharmacopoeia that makes our weekend entertainments possible. Players can't play without them. Monroe couldn't play without them. He started taking them in college, when he was recovering from the reconstruction of his knee, and he kept taking them when he played for the Jaguars and the Ravens. On Sundays, he stood in line for injections of the anti-inflammatory Toradol, and the rest of the time he took the pills the team doctors and surgeons prescribed for him. A 10-year prescription for the anti-inflammatory Celebrex; another for the gastric distress the Celebrex caused; another for Ambien, when he was too jacked up or in too much pain to sleep; another for the migraines caused by his concussions; and then the prescriptions for pain, Vicodin and Oxycontin, when he was either trying to forestall surgery or trying to recover from it. His intake wasn't out of the ordinary. It was typical, and so was the fact that it got him high. "Those drugs, they stone you," Monroe says. "They have psychoactive components. If you get a bottle of any opioid drug, it warns you not to drive, not to operate any heavy machinery. They cause drowsiness and fatigue; they cause lethargy. But we don't like to talk about that." And that's the thing you have to remember when you hear debates about marijuana and the NFL, and especially when you hear the anecdotal estimate that half the players in the NFL regularly smoke weed. It's not that they're choosing to get high. It's that they already are. HERE'S HOW MONROE met his wife, Nureya: She needed a ride. She was a freshman at Virginia, heading home to the suburbs of Baltimore for the weekend but late for her bus. She stopped the first person who drove by, and it was Eugene, on his way to deliver a paper to one of his professors. She didn't know who he was -- didn't know that he played football -- and as soon as she sat down, she demanded his name and called two friends to say who she was with, in case anything happened to her. Eugene talked the entire ride about his love for Japanese anime. "We kept talking," Nureya says, "and never stopped." So she knows a lot about Eugene -- knows a lot about what made him "a little different" in the estimation of his coaches and the reporters who covered him. At 6-foot-5 and 300 pounds, with long arms and what draft experts called a "thick lower body," he might have been a "prototypical left tackle" in regard to his dimensions but never in regard to his temperament. Teams want their linemen to be "nasty," but Monroe is typically described as "soft-spoken," "thoughtful" and even "philosophical" -- "a nerd." Nureya knew better because she knew how intense he could be, how "when he believes in something, everybody has to believe it", how friends who argued with him wound up calling him "Google" because he knew everything. She knew how badly he needed a cause, a fight, to be a warrior, and how deeply football satisfied that need. She also knew -- she was the only one who knew -- how badly football had hurt him. She was on intimate terms not only with him but with his pain. Indeed, Monroe's life with his family was largely about pain. "It's the morning after the game, and he wakes up and can hardly move," she says. "Or he wakes up in the middle of the night and he'll be screaming out, asking me to run and give him water and a Tylenol, it's hurting so bad. Or he's forcing himself into the ice tub, telling me to get him ice and Epsom salts. Or he's trying to play with the kids, and I know how much he's hurting, I know that he's bummed out because he can't pick up our son, Xavier. Knowing that he hit 300-pound guys, for him to say 'I can't lift my son up' ... there was like a thought: 'Is that how it's going to be in 15 years, is that where this ends, he can't play with his kids because of the things he has to do to play football?'" And yet what she couldn't have known, what she couldn't guess, what she couldn't even have imagined, was the cause he would choose. It was something they agreed on back in college: "I had family members who experienced the negative effects of drugs in their lives, and so had Eugene. He had always been like, 'That's not me ...'"
And for the longest time, it wasn't. "Drugs were huge in the community where I grew up," Monroe says. "People using them, people selling them, people being arrested for them because they were associated with them. All sorts of drugs came through my house, and I saw some things I'll never forget. It was all right in front of me, and I became averse to them because I saw how damaging they were." Even marijuana: "I used to believe, literally, in those commercials -- 'This is your brain, this is your brain on drugs,'" he says. "Your brain is some eggs frying in a pan ... and if you smoke marijuana, that's what happens. For years I never considered having anything to do with it. I just thought it was dangerous." And it wasn't just marijuana itself he feared; it was the NFL. When one of his roommates in Jacksonville got high, he used to cover his face and go outside until the dreaded ritual had ended. "I was always afraid of failing the test, tarnishing my name. A failed test is a huge hit on your character in the NFL world." And then one day ... well, you might think he got high and then everything changed. But that's not what happened. Eugene being Eugene -- a guy who gives endless and even agonized consideration to what turn out to be snap decisions -- he watched a documentary on getting high, and then everything changed. Reported by Dr. Sanjay Gupta for CNN, it was called Weed, and it told the stories of families braving opposition so that they could use marijuana to treat the intractable illnesses of their children. Monroe, who would soon be traded from Jacksonville to Baltimore, recognized himself in it because he too had an intractable illness: He made his living playing football. He had always done everything he could to stay on the field, at one point spending his own money on stem cell injections for his ruined left knee, a procedure then considered experimental. Now he began going online to read everything he could about the benefits of marijuana, and eventually he had a talk with his agent, with NFLPA director DeMaurice Smith and with Nureya. "When Eugene started discussing changing how marijuana is perceived, I was like, 'Hold on -- you're the health advocate, there's no way this can fall in line with that,'" she says. That was seven months ago. He was committed then; he's, like, enlightened now. He's Saul on the road to the dispensary. He's part househusband and part bodhisattva. "I am having time to learn who I am," he says. Nureya says it best: "Cannabis has given Eugene a stone he can use to kill many birds." And what has it given her, in exchange for accepting a lifestyle she never foresaw? It has given her what Eugene has been fighting to be all along: a husband not defined by pain, a father who can play with their three children. IT IS DIFFICULT playing with pain. It is harder still not being able to play and having to live with doubt. Ask Monroe about his worst time in football and he doesn't mention the injuries that never really went away and so changed his body and his life. He talks about the injury that changed his relationship to his team. It was a high ankle sprain, a sometimes crippling injury often prefaced with the word "nagging." He suffered it at the end of the 2014 season, when the Ravens were making a playoff run. The team doctor cleared him to play in the first game of the playoffs, but he remembers being "barely able to walk, much less run, much less push off." He sought a second opinion, the advice of his own doctor, and did not suit up for the Ravens' wild-card win over the Steelers. Against New England in the next round, Baltimore's coaches played him on special teams and not at left tackle. "It felt like punishment," he says. Baltimore lost. The Ravens declined to answer any questions about Monroe. But a reporter who covers the team identified the high ankle sprain as the turning point of Monroe's years in Baltimore. He'd started the season signing a contract extension that gave him $17.5 million guaranteed; now the Ravens began to doubt not just his "nastiness" but his very love of the game. It is, in the world of the NFL, a serious accusation, hurled against a player's very essence, and Monroe answers with vehemence: "That's the most ridiculous thing I've ever heard, and I've yet to have anyone from the team come to me and express that man-to-man." Six months later, Monroe entered the marijuana business. Maryland had recently legalized medical marijuana, and Pete Kadens, partner in an Illinois-based cultivator and distributor called Green Thumb Industries, was looking for local investors. By this time, Monroe was more than just a football player, he was a man who saw "a business opportunity in an industry where there's not only a high level of growth but also a chance to provide something for people who need it ... who are suffering, who have to decompress, who need cannabis. Philosophically, it made sense. Everything I stand for is there." Kadens asked, "How many players feel like you do?" Monroe said, "A lot." "We wound up talking to some high-level players -- very high-level players," Kadens says. "But after three weeks they'd fall off the face of the earth and never come back." Monroe never worked harder on his body than he did before the 2015 season. "I wanted to demonstrate that I was the guy the Ravens signed, that I was the guy they thought they were getting," he says. He spent most of his NFL career at 330 pounds; now, by concentrating on diet and fitness, he was down to 285. At the same time, he began investing in medical marijuana dispensaries in Maryland, Massachusetts, Pennsylvania and Nevada. He did not tell the Ravens or the NFL. 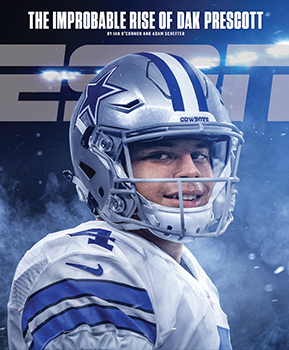 He did not believe his business was any of their business, and he began the 2015 season at the fulcrum of two apparently opposing forces: expecting to dominate on the field and believing he had begun to find his way off it. And then, in the first drive of the Ravens' first game of the season against the Broncos, he got his mind altered, NFL-style. "HOW'S THE YAKITORI chicken?" Monroe asks me. "What?" I'm not eating yakitori chicken. I'm not eating anything. I've followed Monroe in from the patio, and now I'm sitting in his basement, watching him work out. "How's the Jack in the Box?" Monroe walks over, bathed in sweat and beneficence. "I said, 'How's the Jack treating you?'" Oh, right, the Jack. For all of Monroe's enthusiasm for strains of marijuana that don't get you high, Jack Herer is not one of them. It is, instead, a strain of marijuana that makes you realize the difference between just getting high and getting high for a reason that goes well beyond the euphoria, maybe even well beyond the enlightenment. I'm entertained that Eugene has turned his unfinished basement into, like, one vast dorm room, with two tall floor speakers pounding out nihilistic rap music chosen by his teenage cousins from New Jersey, his teenage cousins from New Jersey crowding a sectional couch and playing video games on a large-screen TV, a beanbag chair on the floor the size of a bed and a fully made bed flanked by a nightstand on which sits a bong and a Volcano Vaporizer, and even the foil on the exposed insulation gleaming like the foil on the fabled walls of Andy Warhol's The Factory. Monroe, on the other hand, has chosen to use the Jack because it energizes him for his workouts, and now, by god, he works out as if to demonstrate its power. He wants to slim down and shed his NFL-sized body for a civilian one. But he works out like an NFL player, works out as if to prove he can still play in the NFL, works out so hard he leaves puddles on the floor, works out as if to express how much he misses football, how much the longing still resides in his muscles and lingers in his cells. His phone rings. It's his trainer, a former college player named Andre Washington, and he begins chiding Monroe for retiring. "You just an old washed-up player, just like me," Washington says. "I don't know about that, man. I got my film. You got your film? Let's compare film." "You come on over, we'll just start talking about them old memories ..."
"I know I got my film. I don't know about you ..."
"Oh, I know, I know," Washington says, with sincerity suddenly softening his voice. "You could still be out there, if you hadn't taken the stand you took." "I'd be somewhere starting tackle," Monroe says. "Easily." "But you're doing something revolutionary. I talk about you all the time. You stood up for a cause. A great cause." "I knew it would be risky," Monroe says. "But creating a safer medical environment for players, reducing the number of pills prescribed, that meant a lot to me, because I was still living to play, and I didn't want to keep taking pills to deal with pain ..."
And here, Eugene Monroe begins telling his story to a good friend who already knows it. But Andre encourages it: "I tell you, man, I could not be more proud of you, you're still up for something great, of that magnitude, and that's a pretty awesome story to tell for a football player." And, hearing an echo of intervention, I finally begin to understand. The trainer he relies on to push and inspire him is no longer working to help Monroe stay in the NFL. He is working to help him stay out. MONROE GOT HIT in the head. He knows that much; he's seen that much on the film. But he has no memory of what happened when the Ravens played the Broncos in the first game of the 2015 season. His only memory is of what happened afterward, his two weeks in the black chrysalis of concussion, his slow emergence into the pain of the light. He remembers wobbling down the hallway of his hotel the next morning as he made his way to the team doctor. He remembers the "constant headaches -- a little man, squeezing my head all day long." He remembers the pills he was given, and how they didn't work. And he remembers Nureya's terror of his isolation, terror of him recoiling from light, sound, touch. He came back. But then he tore his labrum, and the season dissolved into a montage of pain and pills. He ended it on injured reserve and underwent shoulder surgery in December. He went home with a prescription for Vicodin, but the pills made him feel groggy and listless. He had never liked the way opioids made him feel, had never liked the opiate high. Now, in the aftermath of the concussion, he couldn't tolerate it: "I was sitting there practically drooling, thinking this was not a good idea." Six days after his operation, he stopped taking not only the Vicodin but all the other pills stocked in his medicine cabinet. He could endure pain more easily than he could the reminders and harbingers of addiction. He expected to keep playing football. His agent had told him he might be released because of his difficulty staying on the field -- and because the Ravens would soon owe him another year's salary if they kept him. And so, Eugene being Eugene, he began to contemplate talking about marijuana, figuring that he'd have more impact as a member of the Ravens than he would as a Ravens castoff. The night before he gave his first interview, he called Pete Kadens of Green Thumb. "It came out of left field," Kadens says. "He said, 'This is what I'm doing.' I was like, 'Seriously, man?' He said, 'This is it, man. I can't stand by idly anymore, watching guys destroy their bodies with the wrong medicine ...'"
It was his strategy from the start: to broaden the terms of the debate. He would talk not just about the NFL's marijuana policy but also about its legacy of chronic traumatic encephalopathy; not just about the state-by-state relaxation and repeal of marijuana laws but about the national epidemic of opioid addiction. He never spoke about getting high because he wasn't yet getting high. He spoke instead about marijuana as an alternative to addictive painkillers -- as an alternative to something that was dangerous, something that led to enslavement and overdoses and lives thrown away. And once he started, he never stopped. "DOES THE NFL have a marijuana problem?" I ask Jeff Miller, the NFL's executive VP for health and safety. "We have a program for testing jointly negotiated with the players' association on the advice of our medical advisers," he answers. "We test players, and should they test positive they hopefully get the kind of help and assistance they need. If they repeatedly test positive, there are punishments for it." It is the answer he gives, with variations, the entire interview. The issue of marijuana has already been dealt with in the NFL's collective bargaining agreement with the NFLPA. Yes, state laws and public perception regarding marijuana seem to be changing rapidly. And yes, the league has said it is open to further research. But until the NFL's medical advisers see a need to change the policy, the policy will stay as it is -- "a policy consistent with prevailing medical opinion and federal law." And, in a way, Miller is right. The NFL doesn't have a marijuana problem. It has, like, five. The first is that an awful lot of its players ignore or find ways to get around league policy and get high. The second is that because so many players get high, the policy is widely regarded as a joke, even by league officials speaking off the record. The third is that the policy causes many players to lose weeks, months and even years of their already short-lived careers. The fourth is that despite -- or because of -- its restrictive policies, the NFL has become crucial to the cause of legalization, a wellspring of pro-marijuana advocacy and activism. And the fifth? The fifth of the NFL's marijuana problems is that it's the least of the NFL's problems. The gravest, of course, is the increasing awareness that playing football is inherently dangerous -- matched by an increasing reluctance of many players to brave the risks and keep playing it. Eugene Monroe is not just the first active player to challenge the league's marijuana policy; he is one of a dozen or so players who retired this past offseason though they had been performing at a high level. Like Monroe, they had tired of playing with pain, had come to fear the next injury, worried about the game's long-term effects on their bodies and their brains, had families to think about and had enough money to get out. What distinguished Monroe from the likes of Calvin Johnson and Marshawn Lynch was that although they might have been saying that the NFL was dangerous, he was somehow driven to say, again and again, that the NFL was demonstrably more dangerous than marijuana. WHEN YOU'RE AN American kid, wondering whether you should get high, you hear about the "slippery slope." Give in to one thing and you're on your way to something else, sliding toward an unforeseen end. Once he started speaking out about marijuana, Monroe was on a slippery slope uniquely his own. He didn't just speak, he wrote checks. He wrote checks and challenged his fellow players to do the same. He wrote a check to an organization called Doctors for Cannabis Regulation, providing what board member Dr. Sue Sisley calls "seed money," when it was broke. He provided a service dog for Brian Schaefering, an NFL veteran who suffered from extreme memory loss and advocated for marijuana. He visited Realm of Caring, a nonprofit organization, and found out that it was sponsoring a Johns Hopkins study into how many players are using marijuana and why. He asked what its fundraising goals were, then fulfilled them. "He was talking about donating $80,000," says Realm of Caring's CEO, Heather Jackson. "We tried to convince him not to ... but Eugene would not be swayed." He never got in trouble for his activism. He just got cut. On June 15, three months after his first interview about marijuana, the Ravens released him, describing it as due to "football circumstances." He began hearing from other teams. "It was definitely Eugene's choice to keep playing," says his agent, Sunny Shah. But it was also Monroe's choice to force a confrontation with the NFL by applying for what is called a "therapeutic use exemption" -- the same exception to the prohibition on banned substances that allows players with ADHD to use Adderall. "We had the paperwork all filled out," Sisley says. "And then," she says, "the day before we were getting ready to submit, he's out." "The Giants had offered me a deal to come and play, and so did the 49ers," Monroe says. "But I was looking for a reason to play when I knew I shouldn't. I was trying to legitimize stepping back on the field." And so on July 21, he announced his retirement in an essay for The Players' Tribune titled "Leaving the Game I Love." The slope had been slippery indeed. Now he was free to go out to his patio and to make a life out of what he once feared. 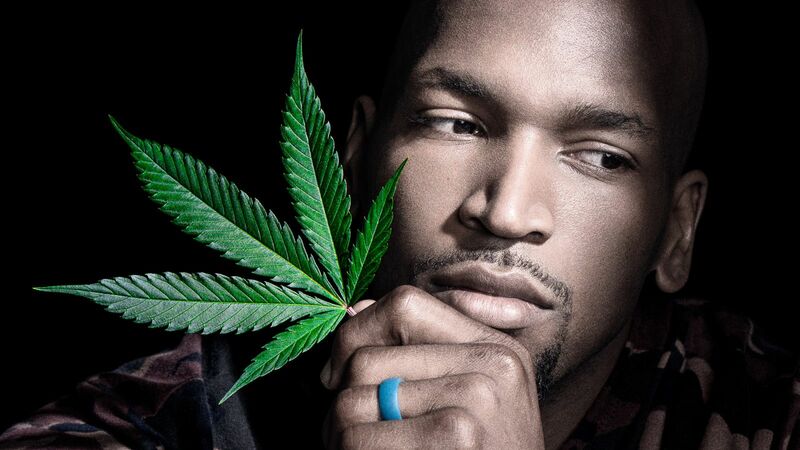 THIS IS THE story of Eugene Monroe, full-time marijuana advocate and entrepreneur. He is now a partner in Green Thumb Industries, and marijuana has become not only his cause but his livelihood. He partnered with Green Thumb in opening a medical marijuana dispensary in Carson City, Nevada, calling it Rise and styling it as a spa where people can come and relax. He is the official "athletics ambassador" for Doctors for Cannabis Regulation, and in September he was the lead signatory of an open letter the organization sent to the NFL formally requesting that the league reconsider its marijuana policy. He is, Sisley says, "of all the activists, unique. He's fearless, but he's also a diplomat. Even if you don't agree with him, he's so even-keeled he neutralizes all his opponents." This, then, is a story that appears to have a happy ending -- a story in which courage and commitment win out and Eugene Monroe finds out who he is, or wants to be. But no ending is inevitable, and courage and commitment are always open to questions from the unconverted. Is it possible that Monroe began changing his life in response to a CNN documentary, or was there something in him, in his wiring or in his past, that whispered, "Yes, this is the way"? His advocacy at first took the form of investment -- is it possible that his advocacy grew out of his investments and that he is as much an opportunist as he is a figure of enlightenment? Did he improvise his exit, or did he execute it, planning and pursuing an endgame even as his coaches and teammates believed that he believed only in them? Did he end up simply exchanging one high for another? Did he replace his football problem with a marijuana problem? Did he retire because he feared another concussion, or did he retire because he finally started getting high and couldn't pass the drug test? Could he pass another drug test even if he wanted to, or is the point that he knew he would want to ... and arranged his life so he could pass every test but that one? Certainly, his commitment has been tested, as a football player and as a cannabist. The dislocated knee. The concussion. The pills he turned away from. The decision to go public. The release by the Ravens. The tempting offers from two teams. The retirement. All those times he watches a game on TV and tells himself and anyone within earshot that he could still be playing. He has never wavered; at each test he keeps on his path, away from football and toward the freedom of the patio and the embrace of his family. But he had never been tested the way he was on Oct. 17, when his commitment to family complicated his commitment to cause. He had grown up with a mother he loved despite the tumult caused by her use of crack cocaine. Indeed, he remembered her example when he was trying to balance being a father and being an offensive tackle in the NFL. "I tried to give everything I could to my family, but it was always about picking up the pieces," he says. He refused to give Nureya and the children a life full of shards, so he retired into a life of tempered purpose until the day his aunt called from home and he found out how badly his mother was still broken. It wasn't that he didn't know. He had always known -- when I asked him to describe how long Stephanie Green Monroe has been struggling with drugs, he answered, softly and after a long pause, "It has been a lifetime." But he had thought that, at the age of 55, she had put the worst of it behind her. Then one of his cousins went to her home after not hearing from her. He found her on the bathroom floor. She had overdosed on heroin and had hit her head when she fell. His cousin called an ambulance, and his aunt called Eugene. He was on his way to one of the grow houses used by Green Thumb, for the photo shoot associated with this story. His mother had survived and was in a hospital. Now he had to decide what to do -- whether to keep his commitments at the grow house or turn around and go home. He also had to decide what the news meant to him and to his cause. "Here I've been putting my neck out," he said, when I called him. "And bam -- it hits me." And what had hit him? Opioids. Addiction. The very things he'd been fighting against. What had happened was personal, but it wasn't only personal -- "It wasn't really about my background." It was about something much larger, "a problem everyone has around the country. No one is immune to the effects." And yet ... his mother had almost died. She almost died of a drug overdose, and her son was deeply invested in legitimizing a drug that many Americans still regard as dangerous. He was not just the first active NFL player to challenge the NFL's marijuana policy, he was the first retired NFL player to attempt predicating his livelihood on the moral authority conferred by NFL survivorship. Even those who disagreed with him about the medicinal benefits of marijuana could surely see the need to find alternatives to opioids. What would they say, though, now that his mother had almost died from heroin? Would they bring up the slippery slope? Would they try to draw a line between his patio outside Baltimore and his mother's home in New Jersey? Could they possibly understand that for him marijuana offered not a way into addiction but rather a way out of a sport that had a hold on him, body and soul? "I've seen my fair share of incidences like this," he said. "But it's different when it's personal. It's testing me at this moment, and it will continue to do so." But he didn't have a choice. He was certain that marijuana helped people because he was certain it helped him. "I know I'm doing the right thing," he said. "People don't need to go through this. And if I know that something can prevent this from happening, why would anyone oppose it?" By "this," he was referring to his mother's experience with heroin. He was referring to the entire cycle of pain and pull and need and habit from which he'd spent his whole life trying to escape. 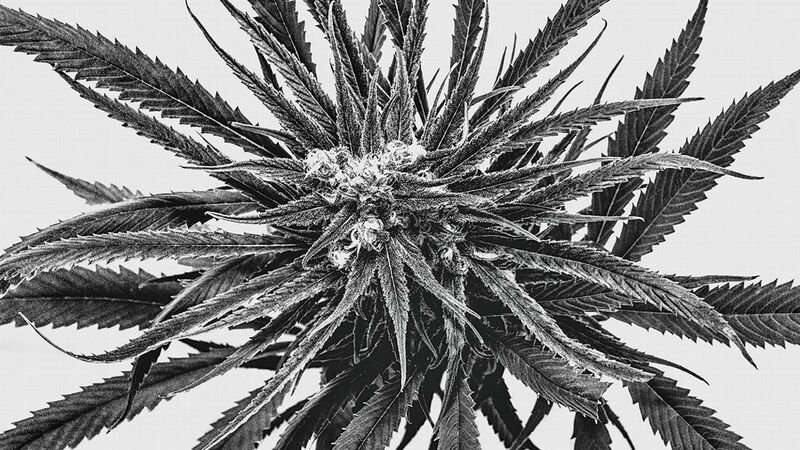 Did the grow house in Illinois promise a cure? Of course the problem was much more complicated than that. But in the grow house flourished something that at the very least promised relief, and so the choice Eugene faced was no choice at all. His mother was back east, in New Jersey. He loved his mother. But she was already surrounded by family, and Nureya was on her way from Baltimore to visit the hospital. Eugene would be able to join her in a day or two. But everything else lay before him -- not just the photo shoot but the opportunity it represented. He was not about to turn around. He kept going west, where the future he fought for somehow managed to keep growing, like a weed.